It’s been 11 years since Gabrielle last released a studio album and a scarcely believable 25 years since her debut single ‘Dreams’ hit the top of the charts. With 5 million albums sold, 2 Brit Awards, 2 Mobos, and an Ivor Novello for Outstanding Song Collection Gabrielle is acknowledged today as in influential pop vocalist and a writer of instantly memorable melody. 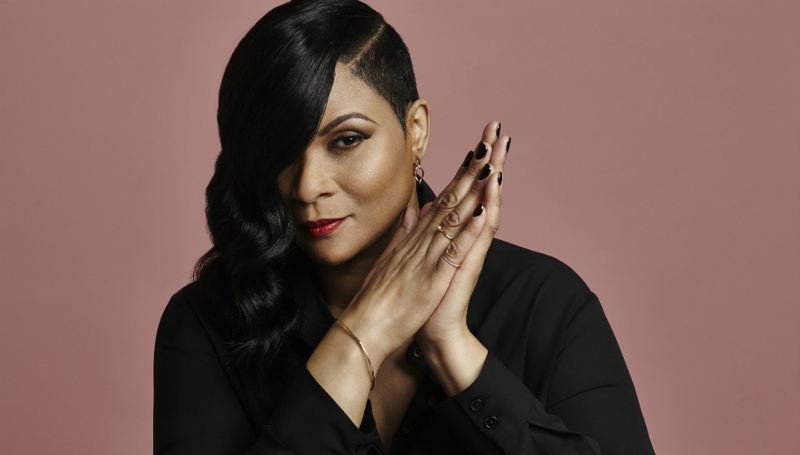 Currently in the middle of a UK tour, Gabrielle is in fine form as DIS chats to her about her new album Under My Skin, changes in the music industry, and her songwriting process. DiS: Your last studio album was released in 2007. Why the long break? It’s good to have you back. Gabrielle: Thank you! Well, it was never my intention to leave it so long, it just kind of happened, I’ve been doing the school run and occasionally doing shows, so it’s one of those things I’d always hoped for but it was about having the right songs and going in the studio with the right people. I’ve been writing on and off for years but it finally came to fruition over the last year and a bit. It’s been a lot of fun, nothing happens before its time! For the new album you worked with some new producers and co-writers. How was that? Yeah, that’s right, I worked with Steve Chrisanthou who’s previously worked with Corinne Bailey Rae, and it was amazing to work with him because he’s such a good musician and he writes great lyrics as well. There were days when I thought I had nothing and he inspired me to write. I also worked with Ian Barter who’s worked with Paloma Faith and Amy Winehouse. It was fantastic to have these different people on the album bringing their different flavours for me, it came out really well. Some of those artists you mentioned there, are they people who you’ve been an admirer of over the years? Absolutely. I adored Amy Winehouse. So to be able to work with people who’d worked with her was lovely. She’s one of those people, a talent that’s just undeniable. It’s not fair she’s not here anymore. I love Adele too, there a lot of artists that came after me that I love. In many ways your soul/pop crossover success in the 90s paved the way for artists like that to be successful. Did you feel you were pioneering something at the time? Hella no! I certainly didn’t! You know I came out, I had my eye patch on, I was just doing my own thing. The fact that I’ve written these songs that people have taken to their hearts, I never imagined people would credit me for being influential. People will say things like: “Adele likes your stuff, she grew up listening to you” and that’s truly an honour, she’s amazing. I never thought I’d be considered a pioneer, I never thought anyone would pay attention, so it’s really lovely that I hear these kinds of compliments later on in life. Can you tell me a little about the writing process? Do you have a particular formula you stick to or is it different every time? Oh my god no, I have no formula! When I’m going into the studio to write, if you play some music to inspire me, then you’ll need to start recording immediately because if I love it I’ll start freestyling a melody, so if we don’t record it or someone says “Oh what was it you were just doing there?” I’m not likely to remember because it's very spontaneous for me, I never really do the same thing twice. It’s about getting as many ideas down as possible. There’s never been a formula, so when I approached the writing of this album I didn’t have a concept in mind. It was just a case of writing songs that I was happy with, that I felt comfortable singing and making music that inspires me. In the end Under My Skin ended up becoming a kind of retro album, there’s a lot of comparisons to be made with Rise; there’s definitely a similar classic sound that’s there. We have a soulful feel on songs like ‘Show Me’ and ‘Thank You’ but also an alternative in something like ‘Shine’. I like to think that all the songs hold their own positions strongly. It really doesn’t boil down to one thing, it’s still my kind of music but it’s not just one style throughout. I like the fact I was able to mix things up a bit on this album. I noticed that, yeah. There’s one song on there in particular called ‘Take A Minute’ that’s quite unusual for you, it’s very different to what you normally do. Yes! It was co-written with Steve Chrisanthou again, he had a piece of music and he said: “Oh I don’t think this is quite right for you.” I said: “How dare you!” He just didn’t think it would be my style, but the moment I heard it I had to jump on it and ‘Take A Minute’ was born. It was just instant for me. I’m so pleased because it isn’t a typical ‘me’ song. Steve then had to tie it in with all the other sounds on the album because I just love it. It’s a bit rocky, it’s a bit indie, there’s a bit of everything in there, it’s not a soulful track, but I was able to make it soulful because of what I’m doing vocally. It’s in your face and different, no one would’ve expected it so I’m glad you picked up on that. Also a lot of the songs on the album have quite personal lyrics. Do you think it’s important to write autobiographically? For me, it’s very important to write from personal experience, simply because it’s what I know. I find it easy to write that way. However, in some of the songs on this album, I’m writing about close friends of mine; I write about experiences they’ve gone through and shared with me (hopefully they’re still my friends!). ‘Every Step’ is one of those songs. I wrote it for a friend of mine who went through a really bad relationship; I’m not good at taking advice but I am good at giving it! People are not ready sometimes before their time to listen or to heed advice. It’s about finding your purpose and realising when you’re ready to leave a negative situation. So yeah it’s all personal; if it’s not about me then it’s about someone I know. Since your last release, the way people listen to records has changed significantly, with streaming and people perhaps cherry-picking their favourite tracks. How did this affect your thinking? It was very important that Under The Skin feels like a cohesive album. I still buy physical copies of albums, and whilst I do stream, I really love actually going out and buying albums. The idea that it’s a cohesive piece of work when you play it from start to finish, I wanted it to be like that. The rise of social media has had a big effect on the music industry as well. How do you feel about that? Oh wow. If I wasn’t doing what I do, making music, I probably wouldn't use it. It’s great for connecting with fans, but outside of that in my normal everyday life I’m not a social media user, I don’t run my life like that! It’s kind of crazy we all live like that now, it can be so positive but in the very next instant, it can be really negative. I do love the fact that it allows you instant access and interaction with the fans, but if I’m not doing that then I’m not bothered. I don’t live my life on it. I know people who live and breathe for the next Insta post, but I’m like...nah. I totally get its purpose within the industry though. You’re currently in the middle of a UK tour. How’s it going so far and what can fans expect from the shows? I’m showcasing the new album so there’s definitely lots of new stuff but I’m bringing the hits as well – I wouldn't dare venture into a venue and try and leave without playing the hits! It’s been fun because obviously people haven't heard the new stuff besides the singles, so it’s been a great chance for me to play the new songs. You’ve been playing some more intimate venues this month. How does that experience compare with what you’re used to? You know, I’m loving the intimate venues; you can get up close and personal with the audience. At the same time, I’ve been playing some big ones as well and the audiences have just been incredible. I like the sense of togetherness a really big audience can bring but I honestly love them both. I started off in a very intimate venue - Moonlighting on Greek Street in Soho, so I’m definitely at home in that kind of setting. I remember back in the day there was a club called Bath Moles and it was the tiniest club. You’d be sweating and you’d have other peoples sweat on you too because the air was so close! I’m not joking, it was so disgusting but amazing at the same time, simply because you knew that everyone really wanted to be there. I feel the love from people when they’re all squished in together all trying to watch a show. I think the dedication my audience has shown has made me appreciate them even more. Speaking of big gigs, how was it playing Brighton Pride? It was amazing, it’s massive! They had Britney Spears on the day before, I was a bit upset that I couldn’t be as close to the crowd as I wanted because Britney's walkway/staging goes right out to the middle but I was like: “How far can I go?” I was trying to figure out what was safe or not! I really enjoyed it though, the line up was so good. There’s Nile Rodgers! There’s Jess Glynn! I was just chuffed to be part of the whole thing, it was fantastic. If you could pick a track that’s not a single but that still stands out for you on the new record what would it be? Ooh, one track that really stands out for me is ‘Won’t Back Down’. It’s the only ballad on the album. It’s so beautiful and the production is gorgeous. Finally, is it true that Bob Dylan personally approved the use of the ‘Knocking On Heavens Door’ sample for ‘Rise’? How does it feel knowing someone of that stature likes your music? I was really honoured. Obviously, he is a phenomenal musician and artist, he’s been around for decades and to know that he doesn’t usually sanction the use of his music, that he doesn’t grant permission…I mean... it’s Bob Dylan! The fact that he heard the song and he liked it so much that I was allowed to use it, to this day I will forever be grateful because that was an amazing thing to do. His music really complemented the song. I was inspired to write it because of his music, so I think it was the perfect combination. I don’t know how many other songs he’s allowed to be used since that time – it’d be interesting to know actually, I’d like to think I was the only one. Under My Skin is out now via BMG Rights Management. For more information about Gabrielle, including forthcoming tour dates, please visit her official website.